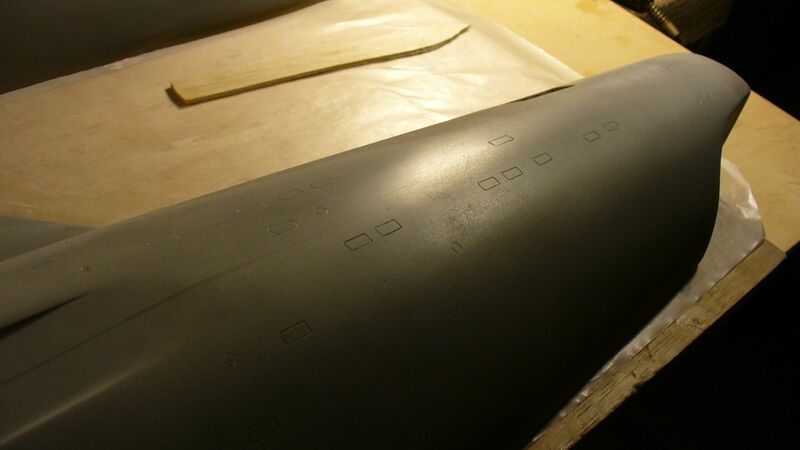 Got all the scribing done on the secondary hull today. 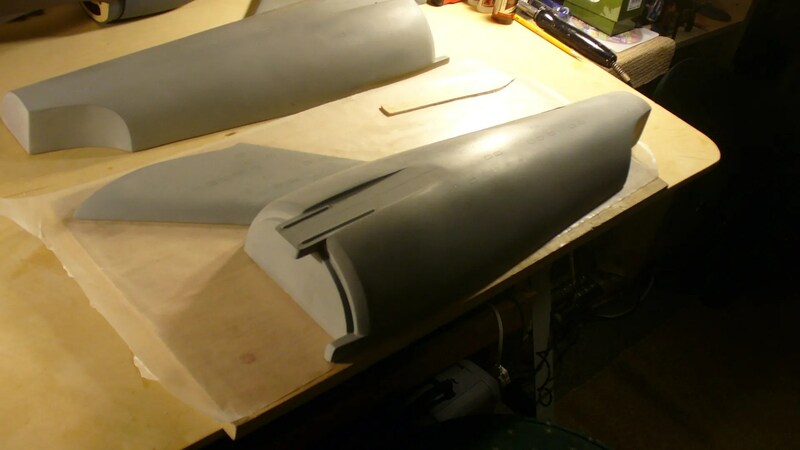 Now I’m in the process of attaching the first half of the neck to it’s matched side of the hull. Once the epoxy sets up over night I can the match the opposite side and glue it on. 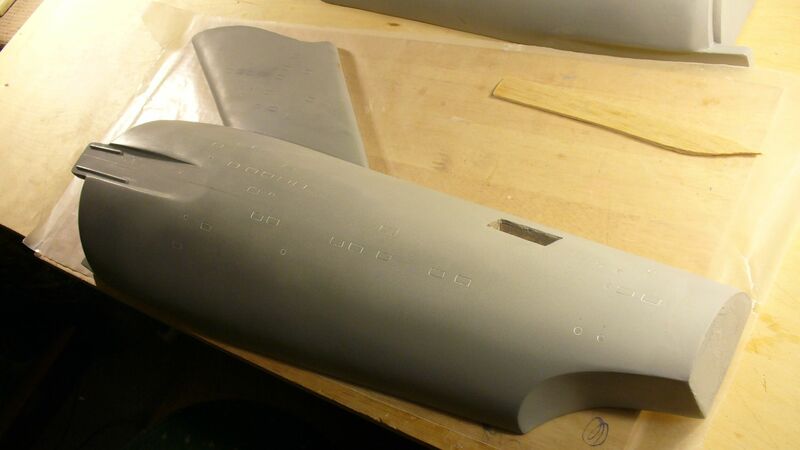 Then a bit of putty on both halves and some cleaning up and that ends the secondary hull masters. That should all happen tomorrow. Next up to finish off the pylons. That should take a day and it on to the last part. 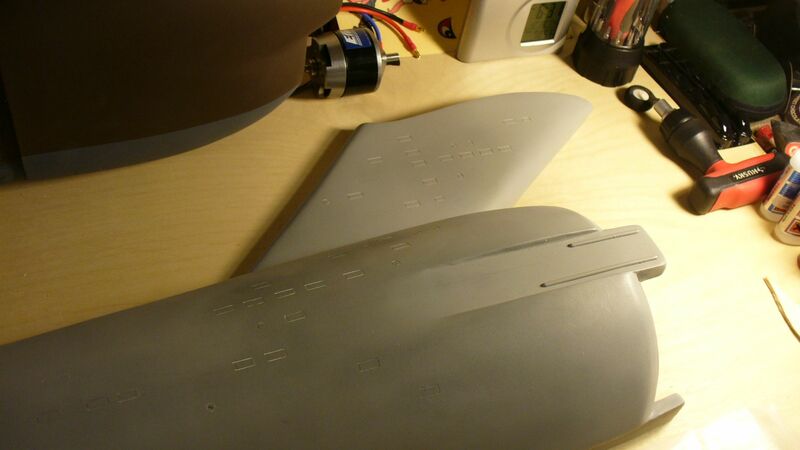 The nacelles. I’m already working on getting 10 gallons of silicone. That’s over a grand of silicone. Yikes. Hoping to find a deal! Click on the pictures for a larger image.